If you do medical consultations or operate a private clinic, it is necessary (and also in your best interest) to have an online presence. Whether you have a website, a healthcare platform, a social media page or a combination of all three, having an online presence is imperative. Having a digital presence will reap major benefits. Even if your practice does not conduct business online, your existing and potential patients are expecting to see you online. 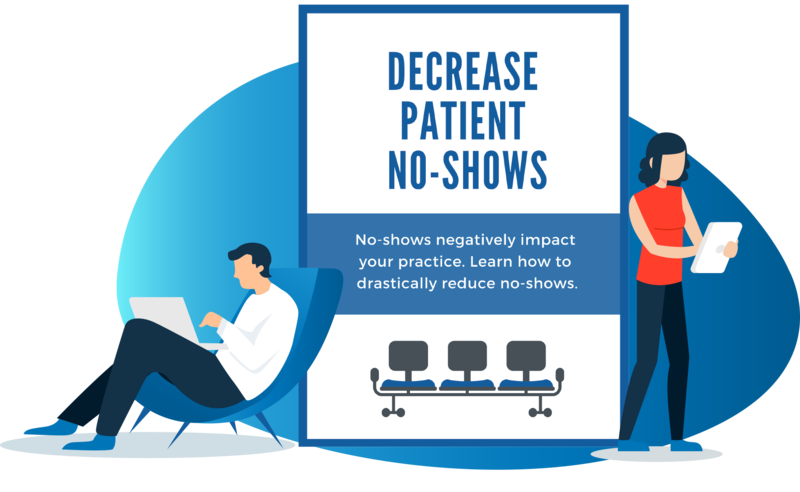 If they don’t see you there, you could be losing out on the opportunity to increase your patient base and get the word out about your medical practice. Healthcare providers has a great opportunity to use digital marketing to educate, inspire, motivate, and engage their patients. This is also an excellent and cost effective way to gain traction in the medical industry. 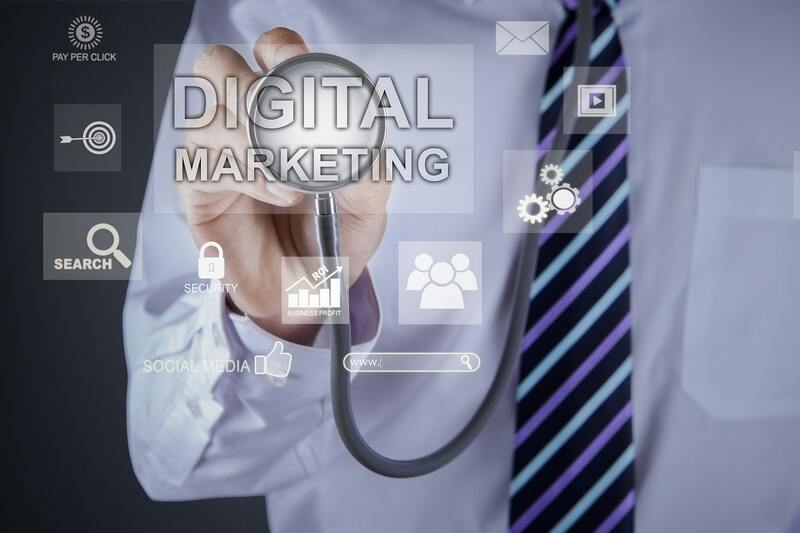 Digital marketing in healthcare is a valuable resource that garners huge results and leaves a lasting impression on prospective patients. Deloitte conducted a study and found that 52 percent of consumers search online for information about treatment options or more generally to learn about health concerns or care providers. 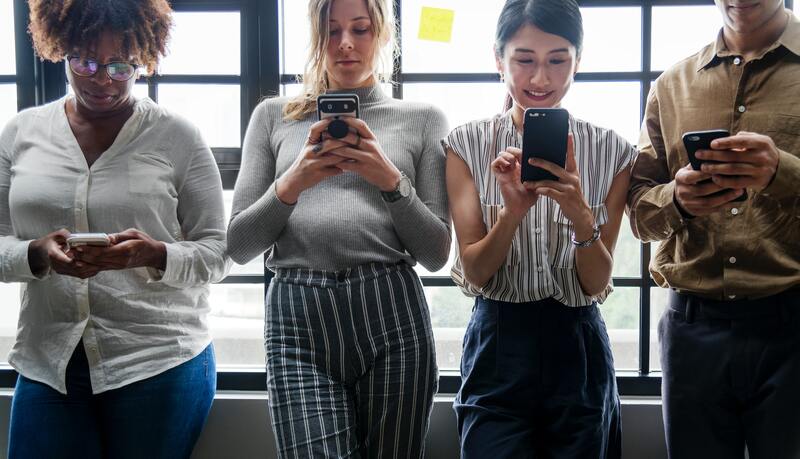 According to the same study, consumers’ use of social media for health purposes also rose from 18 percent to 21 percent between 2013 and 2015. Today, if someone wants more information about a clinic or medical facility, they’re most likely to do their research online. Whether they’re specifically looking for your practice, or they just want to find any medical center that offers services that your practice offers, having an online presence will give you a competitive edge. Potential patients will not put a lot of effort into finding you, and they should not have to. A simple Google search should provide them with all the information they seek. According to a Think With Google Study, search engines drive three times as many visitors to medical facility websites than other sources. The study also found that 44 percent of patients who research medical facility on a mobile device end up scheduling an appointment. Healthcare marketers can help search engines recognize and rank content by tagging a page with relevant keywords, writing informative page descriptions, and creating strategic HTML titles, among other techniques. This lays the groundwork for search engines to place your pages front and center when a relevant patient searches for a pertinent health topic. The internet gives your practice an effective platform for showcasing what you have to offer. Whether it’s showing a portfolio on your website or highlighting testimonials on social media platforms, it has never been easier to let the world know what your practice has to offer. With a simple few simple clicks, your potential patients can see what you’re all about. They can even do this outside of your business hours. An online presence is an extension of your brand that never sleeps. Digital marketing has incontrovertibly changed the way medical practices interact with patients. Previously, there were layers of communication between providers and patients. Today, people can simply reach out through a website or social media platform to ask questions, share praise, or make complaints. This means also that existing and potential patients can interact with your practice on a more personal level. It also gives you the opportunity to truly get to know your patients. And of course, there are also the widely popular online reviews. Nowadays, it's so easy for patients to share their thoughts online about physicians and medical practices. 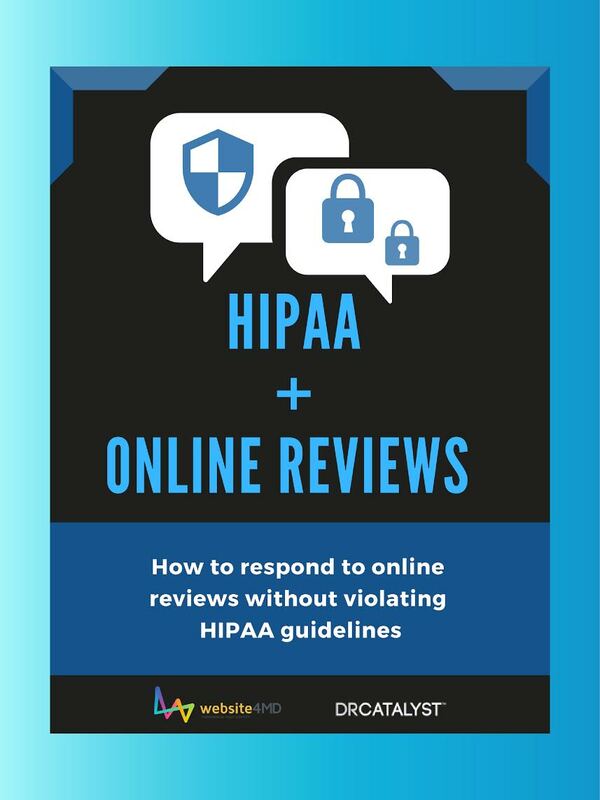 What a patient shares about you or your practice on an online review site, such as Google Reviews or Healthgrades, can impact your relationship with that patient. If they leave a positive review, simply replying back and thanking them for their kind comment can help to foster a more positive relationship between the two of you. And even if they leave a negative review, you can turn that negative review into something positive. Just think about it, that negative review will give you insight into what you can work on to mend your relationship with that patient. How you respond to that review can make all the difference in how they review you moving forward and how your relationship progresses. Websites and social media platforms are excellent marketing tools. They are also some of the most cost effective methods of sending out information to thousands of people. Online marketing is extremely important for all businesses, including medical practices, because it has a huge influence on the way patients make decisions. There’s a new tactic that’s being used in the healthcare industry that is gaining more and more traction. It’s known as “geoconquesting,” and is an offshoot of “geofencing.” Geofencing is the digital practice of establishing a radius around the location of your practice and delivering your advertising to individuals only in that region. Geoconquesting, however, is the tactic of delivering your ad to an individual who lies outside the geofenced radius of a competitor’s location. Many digital marketing efforts in the healthcare industry are now employing this important and relatively recent strategy. 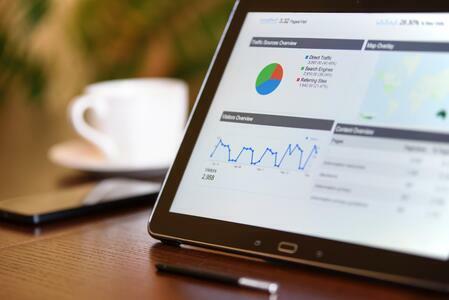 One of the biggest advantages of your practice in the digital era is having the ability to track and analyze your results with the help of digital analytics. It gives you the needed vision to see where you’re going and if your efforts are paying off. You can also take the insights that you’ve gained from the process to improve future campaigns. This is a luxury that you do not enjoy with traditional marketing because there simply isn’t an option. Doctors have the ability to maximize their online presence and better brand themselves through the use of search engine optimization (SEO). SEO allows doctors to be found higher in search engine results. For example, patients who are conducting a Google search for doctors in their local service area will be able to find the doctor’s office much faster than if there was no SEO used at all. SEO isn’t just for national healthcare companies. Many patients are searching for local practices online, and these searches eventually lead to a potential patient. In fact, according to Google, 28% of searches for something nearby result in a gain/purchase. Local SEO, or optimizing your website for local search results, can also be a valuable digital marketing tactic for practices that operate in specific geographic locations. As you can see, there are many benefits of digital marketing that will transform the way that your practice can reach and engage with your patients. Digital marketing is the best way to reach your patients when they are most likely to be searching for services just like yours. It’s important to have a sound digital marketing strategy before you jump into creating and distributing content or launching digital ad campaigns. Consider what your overall business goals are and create digital marketing goals that align with these objectives. Then, determine which digital marketing strategies you will use, and develop a plan for implementation and measurement. For doctors who want to grow their patient base and expand their reach, contact DrCatalyst today. DrCatalyst helps you create a customized digital marketing plan for tangible results and improvements in your practice’s bottom line.